Transylvania University, Kentucky’s historic first University, went contemporary with a remodel of the library addition’s periodical area. The addition is now referred to as the Academic Center for Excellence. A new, sleek and inviting, radius receptionist desk catches your eye as you enter the space. 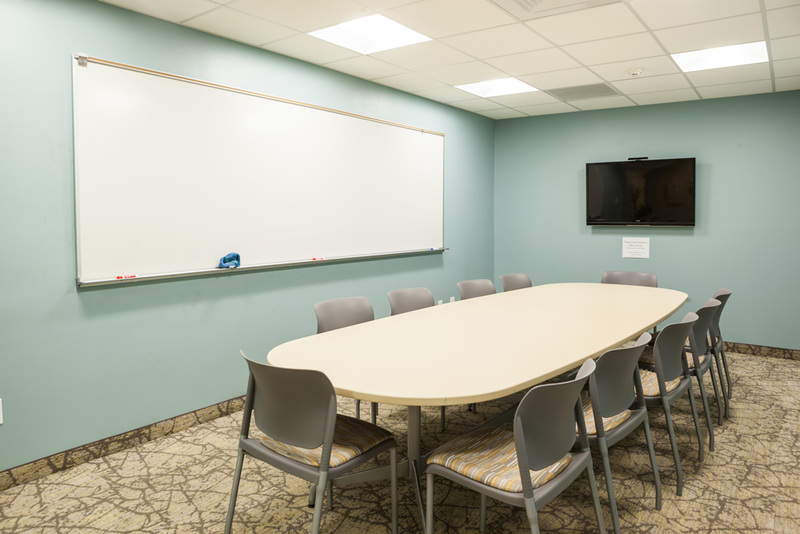 New audio visual conference systems complement new conference rooms, study rooms, and director’s office. The radius storefront system, including a uniquely designed vinyl film cover, separates private study areas from the open layout. The cloud ceiling system opens up to an exposed school colored crimson ceiling, tying this new project into the history of Transylvania University.